Bayshore Loop | Florida Hikes! 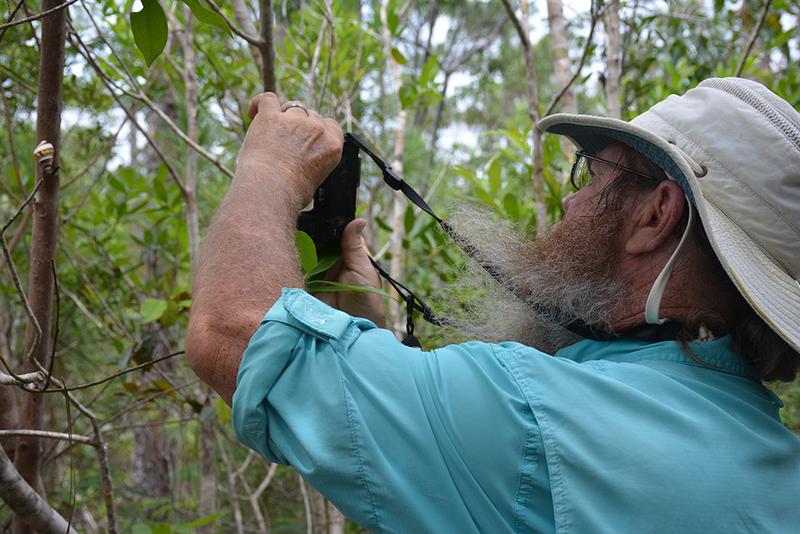 Providing a walk through the mangrove-lined edge of Florida Bay and the unique coastal prairie habitat within a short loop, the Bayshore Loop is an excellent sampler of what some of the Flamingo area’s longer trails (Coastal Prairie, Christian Point) have to offer. Along the waterfront, it passes through what was once the original fishing village of Flamingo, with a relic that still recalls this almost-forgotten outpost at the end of the Florida peninsula. 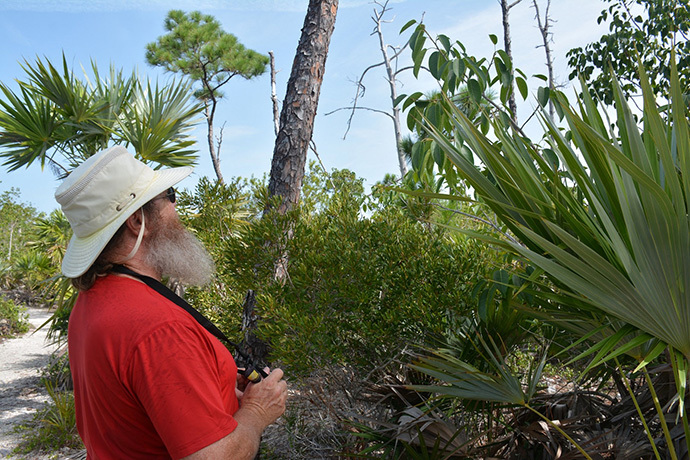 A plus for hikers who want to dawdle and do some birdwatching along the shore— unlike most of the Flamingo area hikes, no bicycles are allowed on this trail. Bug spray and sunscreen are a must! From the Flamingo Visitor Center, drive west on Main Park Road for 1 mile to the Flamingo Campground. Proceed past the check-in station to C Loop. 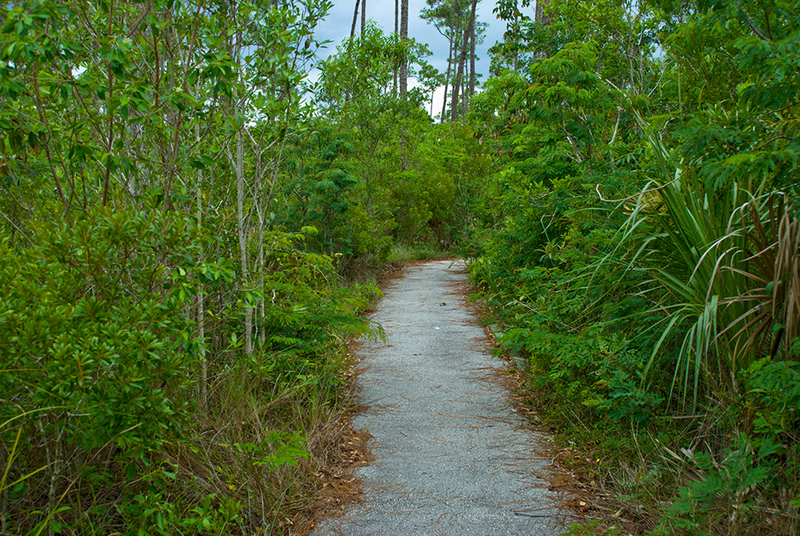 The Coastal Prairie Trail begins at a trailhead in the very back of the C loop, and is used to access the Bayshore Loop. 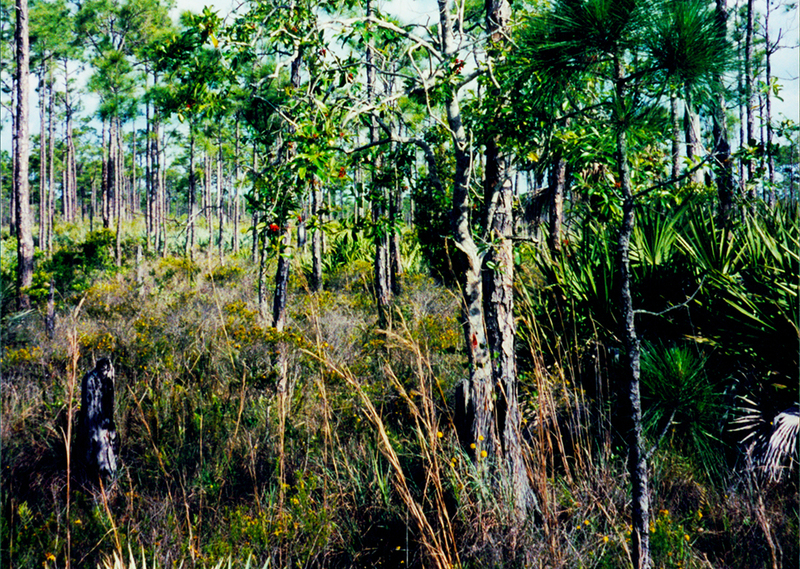 Start your hike at the Coastal Prairie Trail trailhead on an old cotton-pickers road headed west. Brackish pools reflect the remains of what’s left of the not-so-salt-tolerant buttonwoods after the last storm surge thoroughly salted their roots. After 0.2 mile, the Bayshore Loop begins on your left at a sign. Turn left. Pink and white hibiscus bloom along the edge of the salt hay footpath. 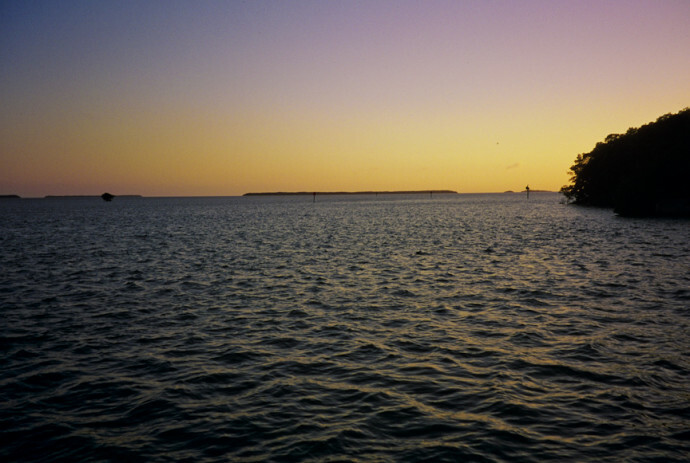 Ducking under black mangroves, you catch the seaside aroma of Florida Bay before you see it, a ribbon of silver beyond the clusters of mangroves. Seagrass streamers flutter in the low branches, and the wrack line is strewn with horseshoe crabs, bumpers, buoys, and other flotsam of the crafts that ply Florida Bay. 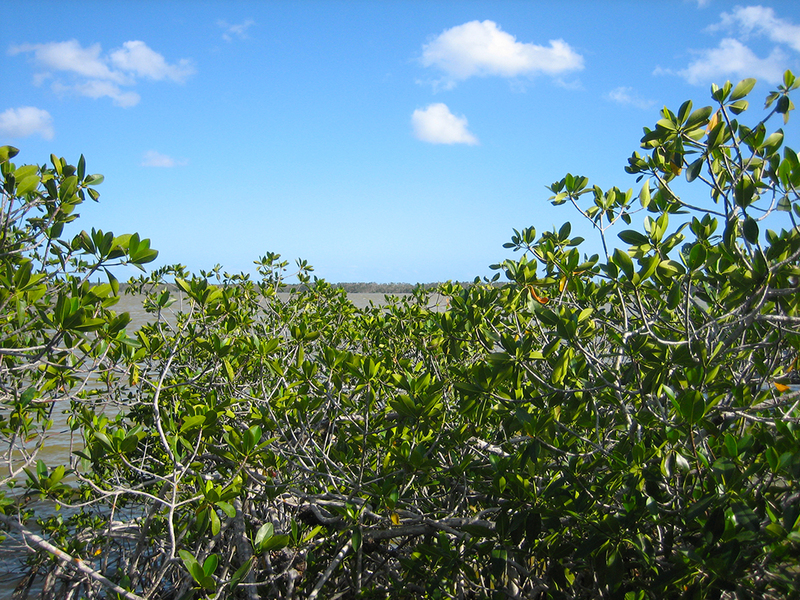 Turn right and follow the footpath behind the mangroves, just out of the way of the waves. 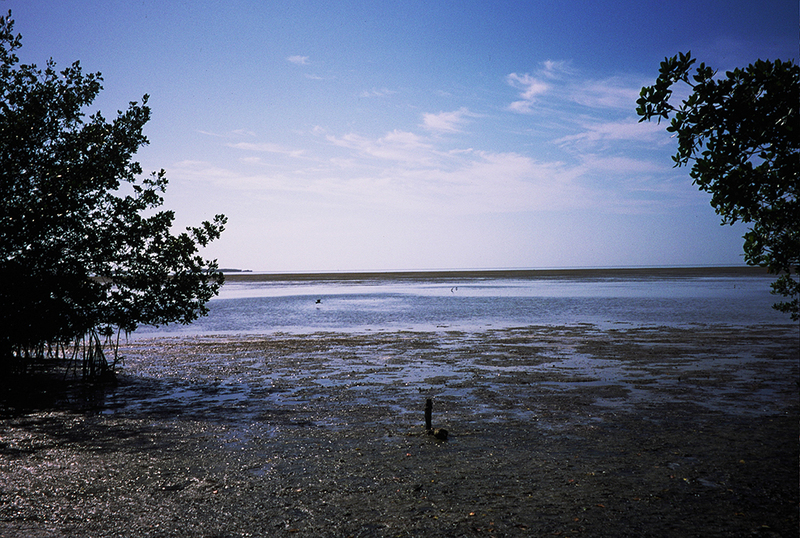 At 0.4 mile, the trail emerges at a broad opening, a beach between the mangroves with a hardpacked mat of seagrass atop the mucky marl that otherwise makes up the bottom and edges of the bay. You pass a distinctive multi-trunked palm tree at 0.5 mile, and the trail turns abruptly to the right. Keep alert for a cistern in the woods to your right, a remnant of the old fishing village. The trail curves around buttonwoods and leads you through clusters of saltwort. 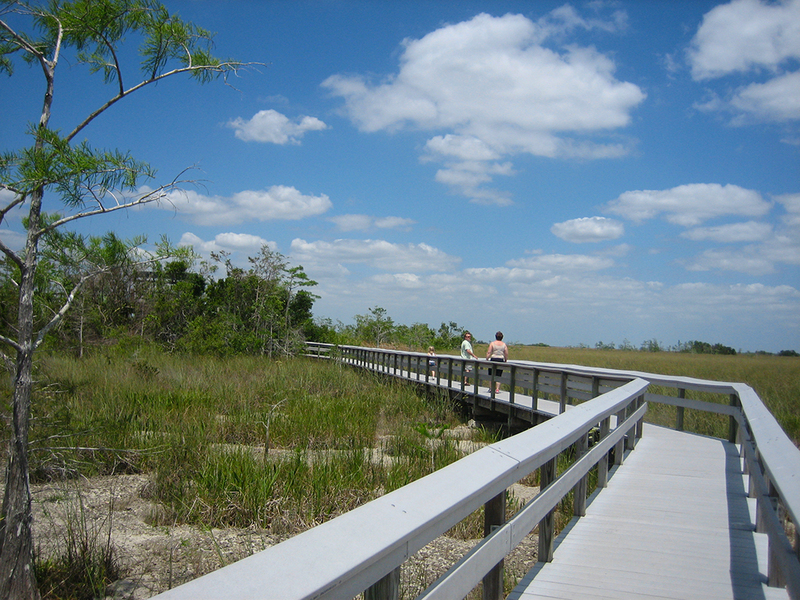 After 0.7 mile, the Bayshore Loop begins its loop back towards the Coastal Prairie Trail, leaving the water’s edge for good as it veers to the right; one last side spur leads out to an overlook on Florida Bay, where the birding is superb. Keep right at the next junction, where the view opens up to showcase the coastal prairie. A few moments later, you reach the Coastal Prairie Trail at 0.8 mile. Turn right and check your balance, as only a drop of rain on the marl surface of the footpath will make it feel like you’re walking across an oil slick. After 1.1 miles, the trail leaves the coastal prairie and enters the buttonwood stand, where you reach the beginning of the Bayshore Loop. Continue straight down the road to the trailhead to finish your 1.3-mile hike.